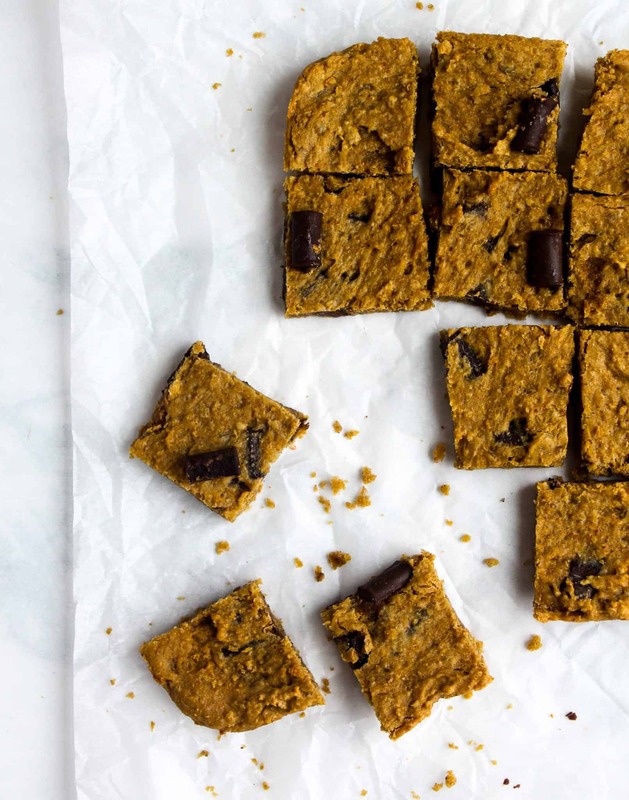 Pin Chickpea Walnut Brownies Here! I’ve been sharing recipe after recipe using canned food in honor of National Canned Food Month! 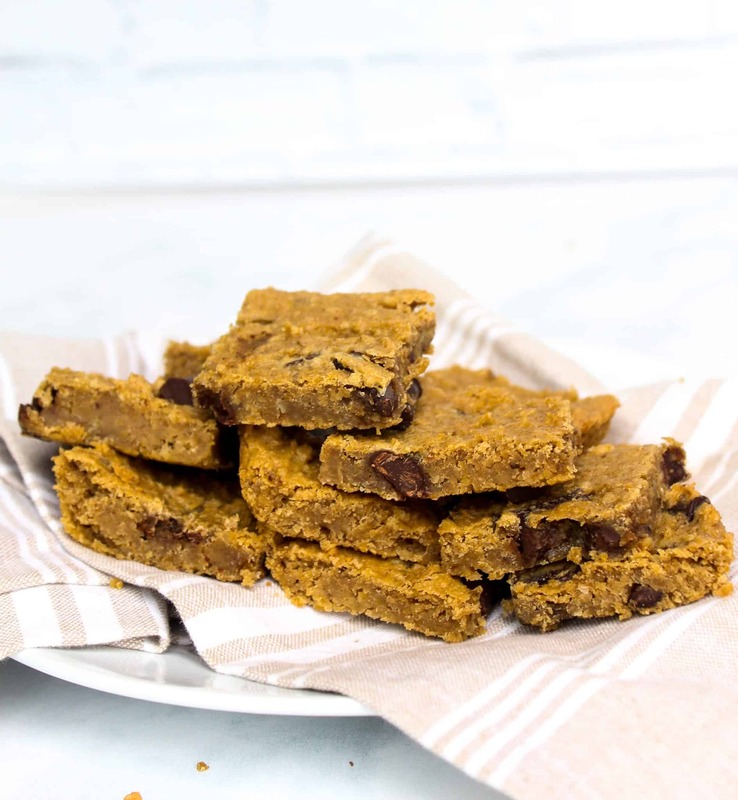 Today, I’m sharing Chickpea Walnut Blondies featuring canned chickpeas! When I asked people on instagram and facebook, almost EVERYONE said they had canned beans on hand. When it comes to beans, many people shared they make homemade hummus (I have a delish recipe here! ), chili, or a soup dish. 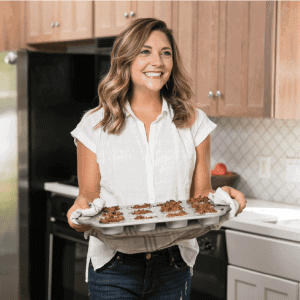 I love thinking outside the box, and I also love a sweet treat with nutritious benefits…so Chickpea Walnut Brownies were it! Chickpeas: a legume that is a good source of plant-based protein and fiber. The combination of fiber and protein together may help with blood sugar control, which means they may help keep energy levels consistent throughout the day. They also contain many vitamins and minerals. 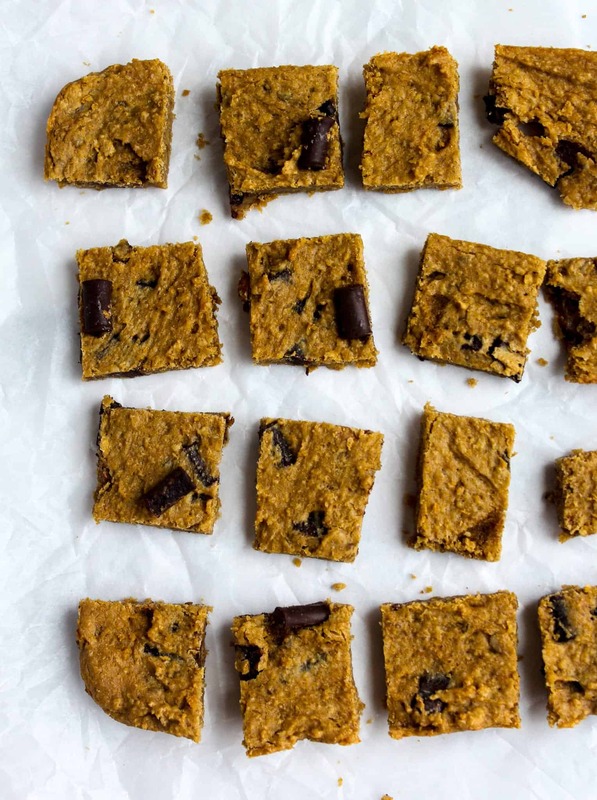 Almond Butter or Peanut Butter work well here, but I would imagine Sunbutter works here too! Walnuts: these nuts are the nut with the highest amount of omega 3 fatty acids, an essential fatty acid known for its anti-inflammatory properties. If you have a nut allergy, steer clear of the peanut or almond butter. 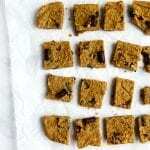 Give these a try with Sunbutter and omit the walnuts. I have not personally tried this recipe with Sunbutter, but I would imagine it would still taste great! This recipe is naturally gluten free and dairy free. My favorite allergy-friendly chocolate chips are Enjoy Life Foods, they are free of all major allergens and taste delish! The ingredients used in this recipe are in low FODMAP amounts according to the Monash University App. 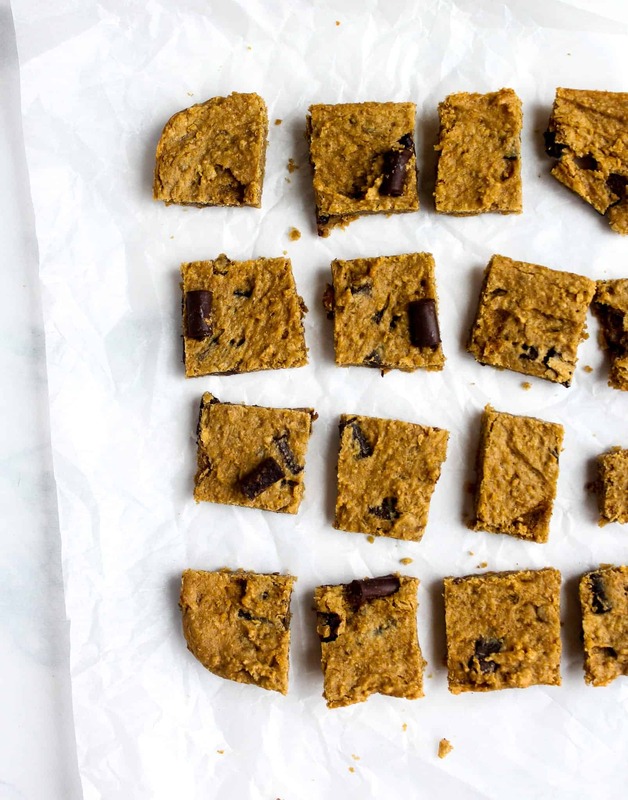 If you are looking for a mid-week pick-me-up…Chickpea Walnut Blondies are IT!